Robert Pattinson’s acting is the equivalent of Justin Bieber’s singing abilities. They both stink. Is there even a life after “Twilight” for the dude? Kristen Stewart made a decent case in “The Runaways”. 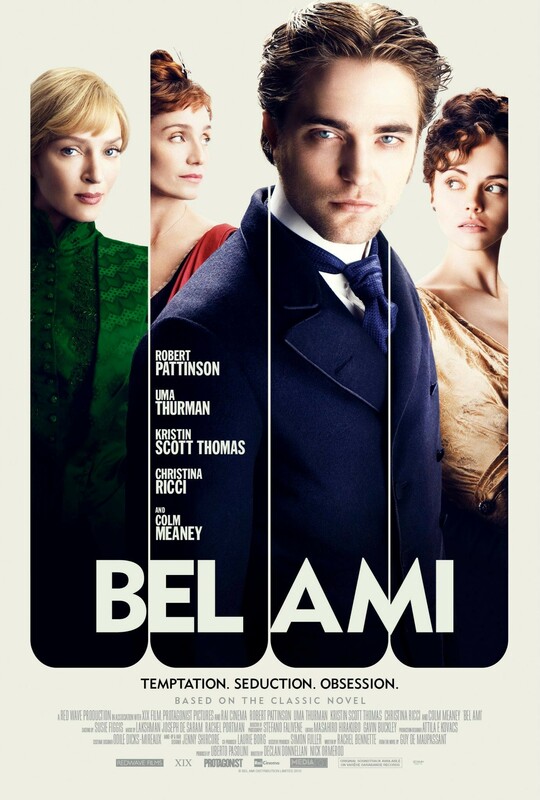 Now Pattinson, her vamp lover, tries his luck in this period piece, based on Guy De Maupassant’s novel about a young social climber in Paris who learns that the path to power is not through important men, but their influential wives. So he begins an affair with the married Clotilde (Christina Ricci, clueless), then with Madeleine (Uma Thurman, wasted), and finally with Virginie (Kristin Scott Thomas). Not content with going deeper into those bizarre affairs, Directors Declan Donnellan and Nick Ormerod (yes it took two to direct this!) lurch through eventful passages without sufficient narrative grounding. Worse, dialogue is often artificial and awkward, and the actors seem as confused as we are. And by the time you realize you don’t know what’s going on you will have stopped caring. Consider this a fair warning to those who’d rather will themselves into a coma than watch Pattinson seduce naive women. Even good actors expire under the film’s cheeseball cloud. As for Pattinson, acting is not one of his gifts, so the movie has him going shirtless most of the times.”This is so boring” he even says at some point. The same goes for the movie.